CURWENSVILLE – Growing businesses may be good for the economy, but sometimes not for neighbors. 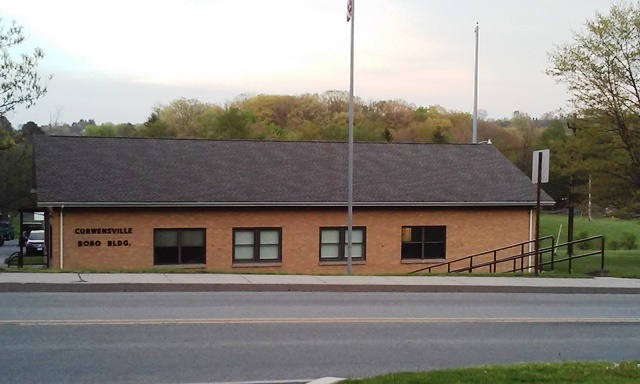 At Monday’s Curwensville Borough Council meeting, resident Mitchell Elensky asked for the borough’s help with a problem caused by a neighboring business. Elensky said the Susquehanna Family Dental office recently expanded its parking lot. Elensky said the larger lot is causing problems when patients come to the office and park their vehicles in his shrubs. Elensky said the patients will pull their vehicles so far off the pavement that it crushes the bushes he has planted around his property. Elensky also said that there have been problems with winter maintenance in the lot, causing damage to his property. He said the plows push the snow into his shrubs, which breaks and crushes them. Additionally, the office has been using rock salt, instead of ice melt to deal with ice and snow. The salt has been killing his grass and bushes. Elensky said he had tried to speak to the business owners about the problems but has gotten no cooperation. “I work hard to keep my property looking nice and it’s being continuously damaged,” Elensky said. “Every day my neighbors tell me that people are parking in my shrubs. Elensky asked how the office was able to expand the lot without consulting the neighboring property owners or the borough. He said the lot was expanded on both sides and no curbing or poles were put in to prevent drivers from pulling their vehicles up too far. He said there are also issues with the way some of the parking spaces were designed. Elensky said if vehicles are parked in the spots closest to the sidewalks, they make it very difficult for other drivers to see around the parked vehicles and the parked vehicle completely blocks the sidewalks. Code Enforcement Officer Tom Carfley said he doesn’t know if any engineering was done on the parking lot expansion or if they had a permit to do the work. He said he will be setting up a meeting with the business owners. Also, at the meeting, the council voted to appoint Carfley to the Curwensville Municipal Authority board and to pay the bills in the amount of $23,182.98. 1. what was your historic relationship with this business, good, bad or indifferent., could this be a “revenge” complaint. 2. are the shrubs indeed 100% on your property? do you have a current survey to substantiate your claim? 3. what issues are there for the parking design? or is this your complaint again? who is the expert parking design person who verify the design issue? 4. Rock salt killing the shrubs – so this year the rock salt that was possibly used 2-3 times is used in such large quantities that the shrubs are dying from it? again how old are the shrubs? To me it sounds as a neighbor who has a historic issue with this business and has found a way to publicly file a complant.